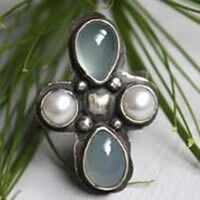 The name of this stone comes from the Greek and Byzantine city named Chalcedony. 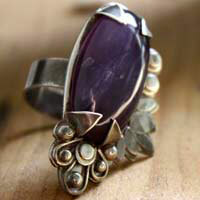 It can also be found under the name of merlinite. Its main characteristic is in its structure: even if it is related with quartz because of their common chemical formula, the chalcedony does not have well developed crystals. Its crystals are so small that you cannot see them. They are densely gathered in an amorphous shape. Tools made of chalcedony were dated back to the Neolithic period, close to the city of Quimperlé in France. 4000 years before Christ, Assyrians and Babylonians used chalcedony to make their cylindric seals that were used to protect their documents. They were also meant to protect the go-between. The Minoans of the Bronze Age (as well as the residents of the famous Cnossos palace) used to go on with this tradition by making their seals with chalcedony. It seems that this stone would stick less to wax when applying the seal and would therefore give a better result. In the Celtic mythology, chalcedony would be the stone of the Clyde river goddess called Clota. 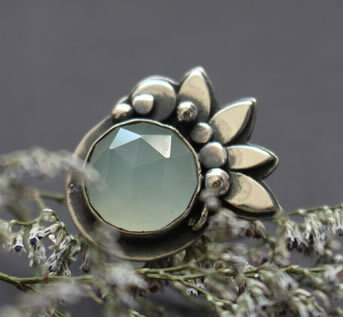 In the antique Greek tradition, the chalcedony was the stone of mother earth, the Gaia goddess. The stone was meant to improve the art of speech for Roman people. This is why it is said that the orator Cicero would have worn one around his neck. For a lot of Amerindian tribes, chalcedony was a sacred stone, symbol of the inner peace and was often used to soothe spirits. 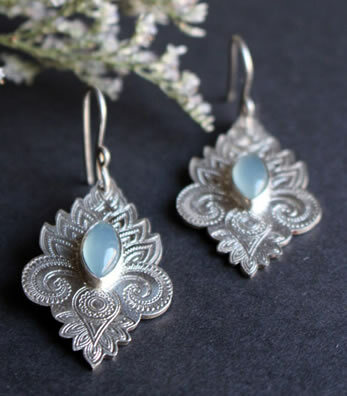 The chalcedony would be Whope’s stone, the goddess of peace in the Lakota Sioux tribe, even though other traditions are talking about the turquoise stone. It is the stone of the singers. The chalcedony would be used for throat infections. It would help with stomach aches, epileptic attack and mental diseases. The chalcedony would relieve kidney problems, and more particularly gallstones. It would help to get rid of fever. 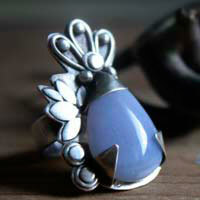 The chalcedony would stimulate the milk production for breastfeeding mothers. It would reduce edema and glaucoma.